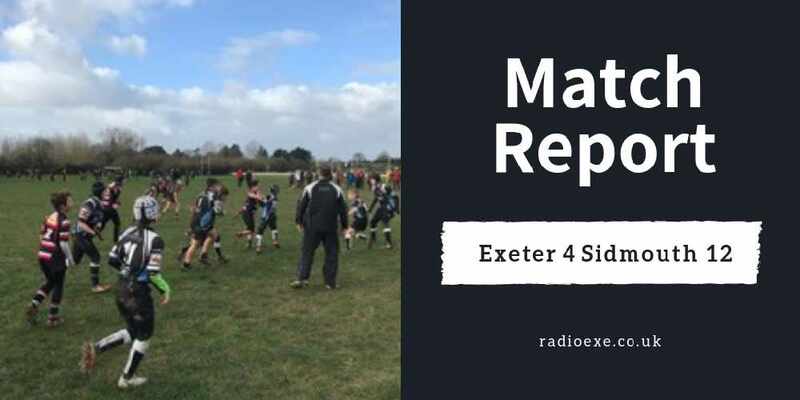 The U12's first match of 2019 was played at home to Sidmouth, who as usual brought a large team. The match was played in 3 20 min sessions, and we borrowed 2 of their players to make a team of 12. The First 1/3rd got off well with an initial try from Liam following an Exeter Scrum. There was plenty of rucking from both sides, and good tackles made by Ed & Liam. Thomas made a good run an almost scored but was tackled on the line preventing his try. Sustained pressure from Sidmouth led to them scoring the next 6 Tries. A much better middle session, with tackles a good string of passes made by Liam, Max, Thomas, Ollie & Mikey eventually leading to a Try by Charlie who muscled it over the line. An excellent Run from Max following kickoff led to a further Try to level the session. Some good sustained tacking from Noah, Kit, & Ed & Henry slowed the ground gained by Sidmouth who seemed relentless with their rucking, and kicking. A physical game looked to be taking its toll, but there was still some good match play from the team. None of the players looked shy to make tackles even on bigger players, but occasionally lost possession they had due to lack of support to the running player. Kit almost scored, on several occasions, but was stopped just short of the Try line.